At present, the commodities market cycle is at its lowest point and a worse time to sell the company could not have been chosen. Total Merchant is offering to purchase Metalico, Inc. for $.60 per share or $44.2 million. This is a small premium of $7 million, over the present $37 million market cap. The offer is well below the company's $92.3 million book value and equates to a discount on the book value of shareholder's equity of $48,100,000 or a discount rate of 52. This type of discount rate is clearly adverse to the interests of shareholders. 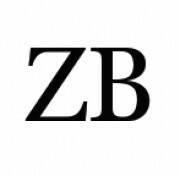 Even under the present poor commodity market conditions, Zarvic Brothers, LLC places a value of the company between $150 to $240 million; or $80 to $170 million for shareholders' equity. In its most recent financial statements Metalico, Inc. reported sales revenue of $153 million for the first six months. This revenue, along with the $164 million in assets, demonstrates an opportunity for a better deal for shareholders of Metalico, Inc.
Zarvic Brothers, LLC proposes putting together a shareholder group willing to take a standagainst present management and vote down the Total Merchant deal and seek representation on the board of directors to maximize shareholder value which can be accomplished through strategic sale of assets and restructuring the business model. Several parties expressed interest in purchasing a number of the Metalico, Inc. scrap recycling centers which could generate $30 million to $60 million. Zarvic Brother, LLC anticipates up to 15 locations could be sold immediately generating sufficient cash to pay down existing debt. Options also are available to leverage the company's balance sheet and refinance long-term debt with current maturities. The company's recent financial reporting indicates discretionary income of approximately $30 million also available to utilize in the payment of debt due within the next seven (7) months. Though the company's revenue appears to fluctuate with rising and falling commodity prices, the company has a broad regional market share and it possesses a sizable revenue stream which implies an ample value for the underlying assets that produce that revenue. The sale to Total Merchant in no way reflects the true underlying value of those assets even in today's market. Furthermore, commodity prices will not remain in the present slump forever and shareholders deserve an opportunity to sell their company during more opportunistic market periods. Zarvic Brothers, LLC is interested in assembling a group of participants to accompany its investors in purchasing a stake in the equity of Metalico, Inc. enabling it to obtain representation on the Metalico, Inc. board of directors.